NGEx Share Capital and Voting Rights Update | NGEx Resources Inc.
VANCOUVER, Oct. 31, 2018 /CNW/ - NGEx Resources Inc. ("NGEx" or the "Company") (TSX: NGQ; NASDAQ Stockholm: NGQ), reports the following share capital and voting rights update in accordance with the Swedish Financial Instruments Trading Act. View PDF version. As a result of the issuance of 28,000 common shares pursuant to the terms of a previously announced credit facility, the number of issued and outstanding shares of the Company has increased to 227,659,153 common shares with voting rights as at October 31, 2018. 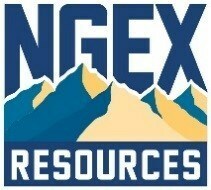 NGEx is a Canadian mineral exploration company with exploration projects in Chile and Argentina. The Company's shares are listed on the TSX and on Nasdaq Stockholm under the symbol "NGQ". The Company's focus is on advancing the development of its two, large copper-gold deposits, Los Helados and Josemaría, located in Chile's Region III and adjacent San Juan Province, Argentina. The Company owns a 100% interest in the Josemaria project and is the majority partner and operator for the Los Helados project. Los Helados is subject to a Joint Exploration Agreement with its joint exploration partner in Chile, Pan Pacific Copper. This information is information that NGEx is obliged to make public pursuant to the Swedish Financial Instruments Trading Act. The information was submitted for publication, through the agency of the contact person set out below, on October 31, 2018 at 5:30 pm Pacific Time.